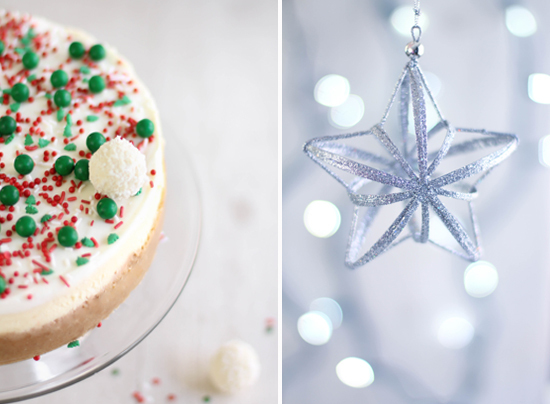 Cheesecake isn't the only Christmasy thing I've been whipping up lately! I've been on a very special project for Sony Pictures and their Arthur Christmas Blu-Ray, DVD release that happened on November 19th. 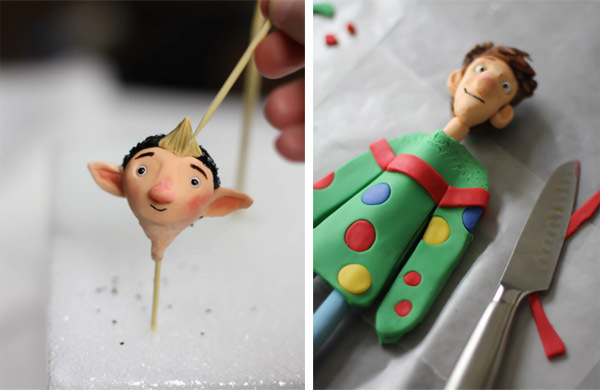 You can find a link for the full Arthur Christmas cake tutorial on their Facebook page HERE. I had a blast making this cake, and the movie could not be more adorable. Even if you don't have kids it's a lot of fun to watch (I appreciated some of the adult humor that kids might not catch). Bryony the elf especially captured my heart - I highly recommend! A few more words about the cheesecake. A good leak-proof springform pan is important! 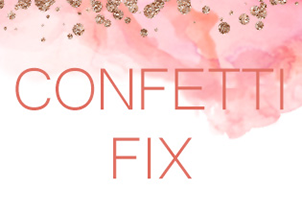 Otherwise you'll end up with a soggy mess, no cheesecake to eat and ultimately time wasted. I use this 9-inch Nordic Ware Leakproof Springform Pan for most all of my cheesecakes. I also use this roasting pan with a rack insert made by Martha Stewart (only at Macy's) for the water bath. The cheesecake pan can sit level on the rack while I pour in the hot water to the suggested depth. After the cheesecake has baked, I don't have to risk burning myself with hot water - I can just lift out the rack and allow the cheesecake to cool on the rack insert on my stove-top. You can see the pan in action in this previous cheesecake post. 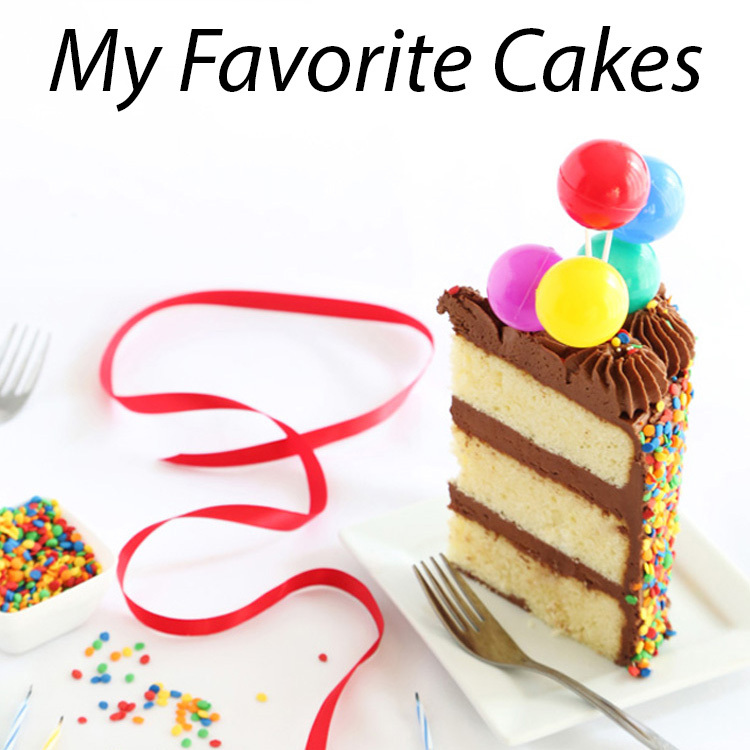 This recipe is adapted from Taste of Home 100 Best Desserts . I've changed the graham cracker crust to a shortbread crust. If you prefer the former, you can substitute the 2 cups graham cracker crumbs for the shortbread crumbs. I used Walker's brand shortbread cookies and a food processor to make my crumbs. **This cheesecake should chill overnight, so plan ahead. Securely wrap two squares of aluminum foil up and around the sides of a 9-inch spring-form pan. The crust is very buttery and the aluminum foil will prevent butter from seeping out of the pan and onto your oven floor. It will also be extra insurance against water seeping into the crust when it's baking in the water bath. In a small bowl, combine the cracker crumbs, brown sugar and cinnamon; stir in butter. Press onto bottom and 1-1/2 in. up the sides of the spring-form pan. Place on a baking sheet and bake for 5 minutes. Remove from oven and transfer to wire rack. Let cool completely. In the bowl of a stand mixer fitted with the whip attachment, beat the cream cheese, sugar and vanilla until smooth. Add beaten eggs and mix on medium-high speed until incorporated. Pour into the partially baked shortbread crust. Place cheesecake pan in a larger baking pan and add 1 in. of hot water to larger pan. Note: I used the hot water that comes from my tap because it is very hot indeed. This is a short-cut I use sometimes, but I usually put on a large pot of water to use for the hot water in the water bath. Reduce oven heat to 325° and bake for 1-1/2 hours or until center is just set. In a medium bowl, combine sour cream and sugar and stir until smooth. Spoon the mixture over the surface of the hot cheesecake and spread with the back of the spoon to cover. Bake for 5-7minutes longer. Remove spring-form pan from water bath. Allow to cool on a wire rack for 10 minutes. Loosen cheesecake from the sides of the pan with a knife, but do not remove the collar. Refrigerate overnight. Open the collar of the spring-form pan and remove. Garnish with your choice of Christmas candies. 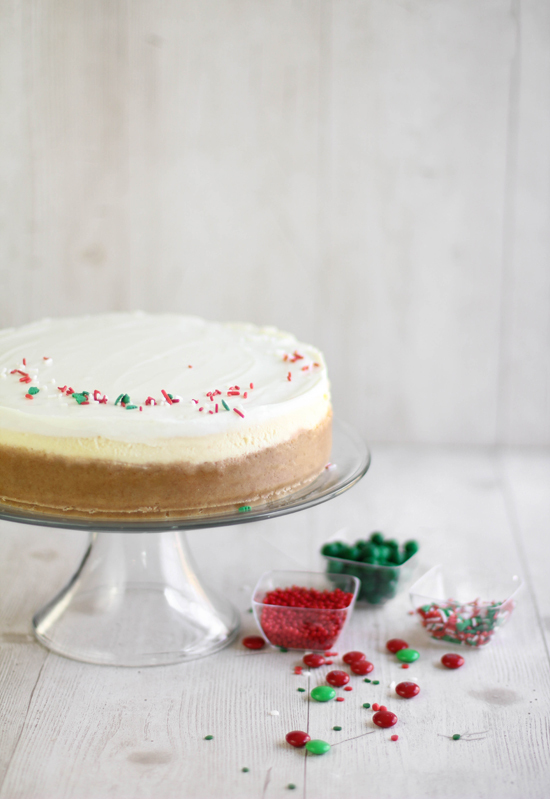 This cheesecake is wonderfully festive! A real beauty. I've made this as a Taste of Home recipe for years now, and my husband would demand it every Christmas. You've done a beautiful job. I usually just sprinkle mine with M&Ms. Isn't it crazy how fast time flies by! This cheesecake is beautiful, I love the toppings you chose! Absolutely gorgeous! I love your styling, with the Christmas lights hanging behind. You seriously out-do yourself every time I visit your blog! This is one gorgeous cheesecake! wow isn't that just stunning. If this doesn't get you in the holiday spirit, I don't know what will! JIMMIES! Oh goodness, I love that you used that word. So many people I know have no idea what those are, they say, "Aren't they just sprinkles?" What a festive cake! I LOVE those coconut Ferrero Raffaellos... must go find some ASAP! Aah - I always LOVE looking at your desserts!! I can't say mine always turn out so pretty, but I enjoy trying! Just beeee-autiful!! Completely gets me in the spirit of the season!!! 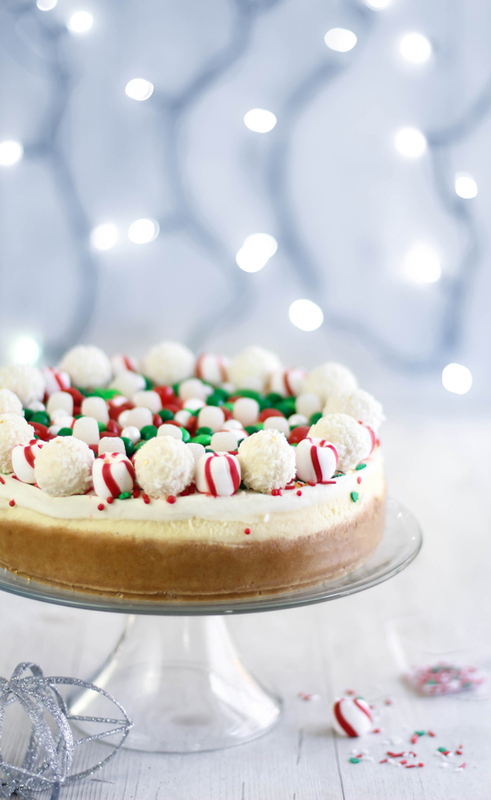 This MUST be the most festive cheesecake ever made! 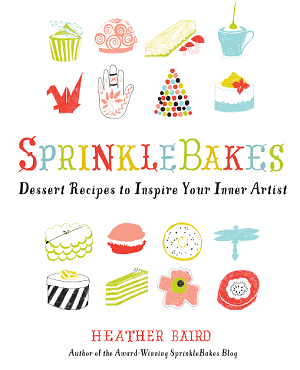 The shortbread crust sounds amazing! Your cake for Sony is PERFECTION! 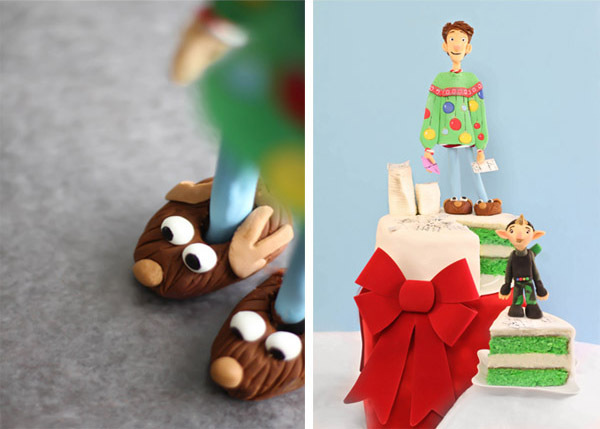 That Arthur Christmas Cake is adorable! What a beautiful job you did. Congratulations on this project with Sony. What a cute idea. Love the "snowball" Ferreros! I absolutely love this. What a perfect holiday dessert! Yes, the cheesecake is adorable and festive. But, I have to say, that character you made is brilliant. LOVE those reindeer slippers. I just love your artistic talent. Back to the cheesecake... I've been dying to make one, and I think this is the one. You make the prettiest cheesecakes, Heather. That top is just WAY too fun! 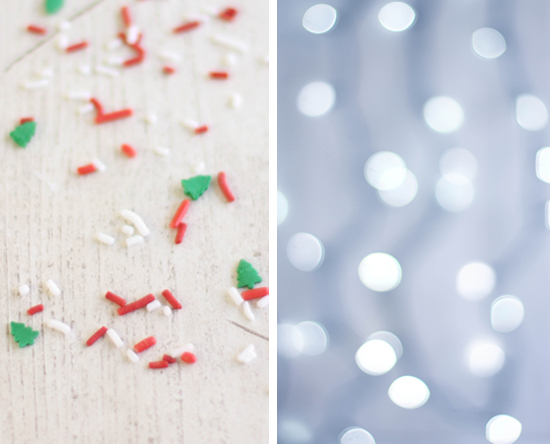 What a simple but totally festive way to decorate and kids could easily be involved in that! This is so pretty!! I wish I could be at your holiday dessert table. Awesome! 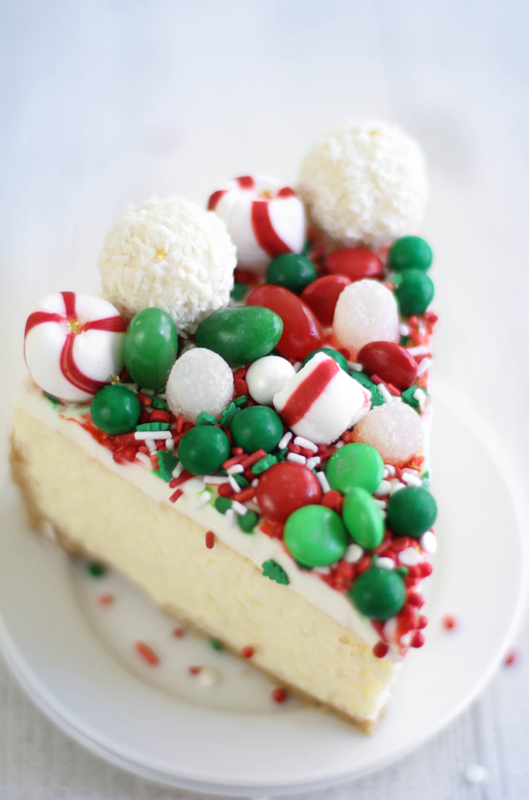 Never had candy-topped cheesecake...but your super-festive version is certainly tempting! I love this! And, I am super excited about the shortbread crust! Beautiful cheesecake (sprinkles and candy do make things better) and amaaazing Arthur Christmas cake! Wow! I saw the movie last year with my husband and son, and loved it too! Everything you make looks so beautiful. You have actually inspired me to try and make things look prettily decorated. 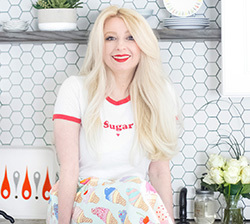 When I go home for Christmas I'm definitely going to try for some elaborate cakes or cupcakes, but first I think I'll try a hand at decorating sugar cookies as well. Oh, and I'll probably be making this cheesecake too. It looks incredible! Oh my gosh this looks absolutely incredible. I so agree about this time of year, it speeds up so much I definitely think you need to start early! And it's after Thanksgiving so I think it's fine! I need to make this cheesecake this year! You know, I'm not a big cheesecake fan, but then you went and put all those goodies on it, and as my husband will tell you, I cannot resist a peppermint. You could tell me it was poison and I'd still eat it. Such a very fun & festive cake Heather! Heather, you are absolutely AMAZING. I mean seriously crazy amazing talented. No words for that cake!! 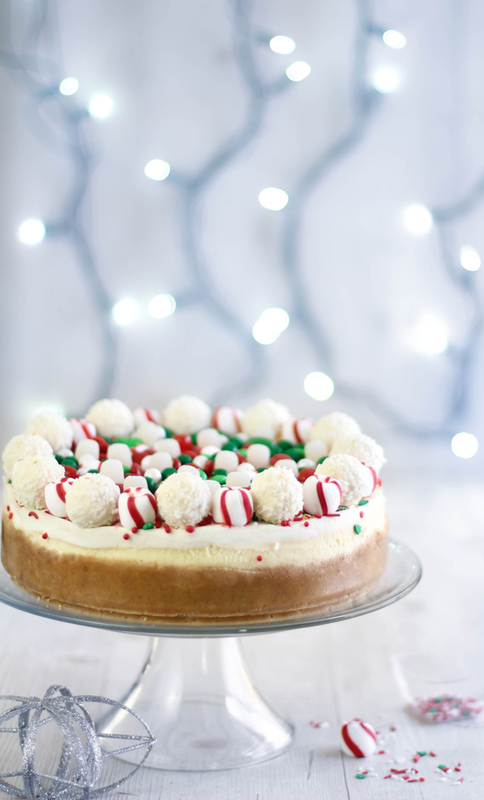 The most festive cheesecake EVER! This is the prettiest cheesecake I've ever seen!! And that Arthur Christmas cake? YES! This is beautiful. I just saw it on a round up at Love from the Oven. Its feeling very Christmassy all of a sudden. 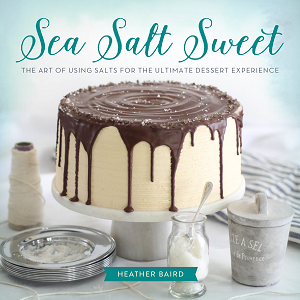 Heather, this is seriously one of the most stunning cakes (I'm going broader than just cheesecakes!) I've ever seen. Love it! I just made this for our office Christmas lunch, and it was a big hit... I have always for whatever reason been afraid of cheesecakes, and it was so easy and came out so good. Love this innovative concept of adding the touch of candies to my all time favorite dessert - cheesecakes! Will definitely try it out this christmas! Cheers!